Living in the foothills has it benefits – we have land, few neighbors, lots of cool critters. Well, today I had my first run in with a snake without Mike. I have plenty of run-ins with lizards all the time and my first thought is generally “Whew, thank goodness that wasn’t a snake”. 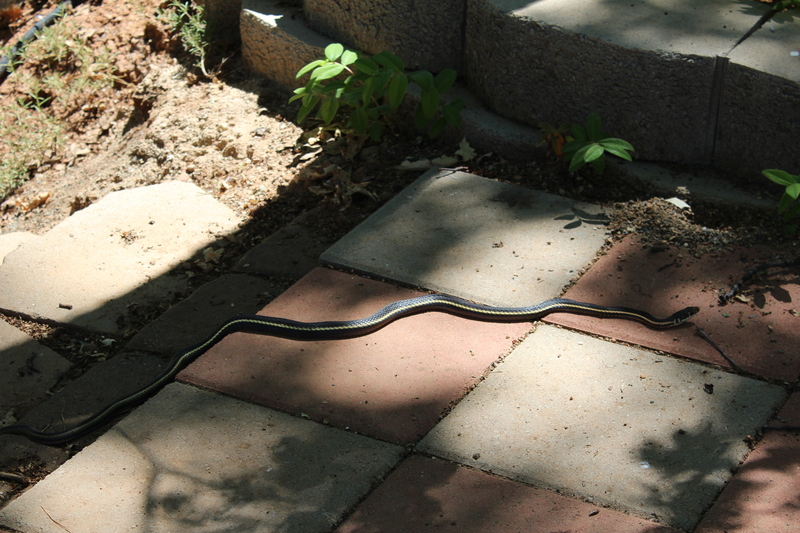 I knew right away it wasn’t a rattle snake, so I ran inside to get my camera so that I could share with you folks. And, I knew once I got inside I would get super confused when I started Googling. 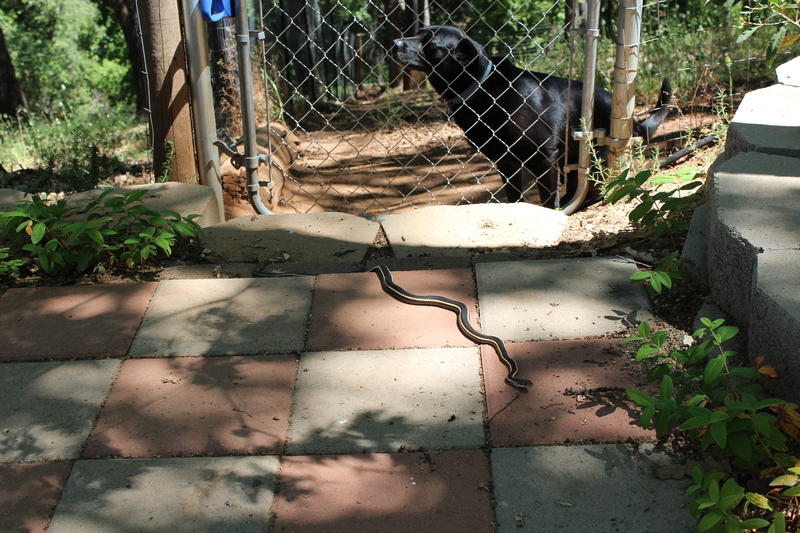 Fortunately, a squirrel made a noise and Shadow ran off to chase it, so I was able to poke at the snake with a long pole. Unfortunately, that sucker turned and took off back into Shadow’s pen (not sure if it came from there to begin with). For once is his short little life, Shadow actually listened to me and came to me instead of chasing the snake. Maybe I actually sounded authoritative. As it turns out, this is a California Striped Racer. They are known for their speed, their daytime activity, and they sometimes eat rattlesnakes. I’m kinda glad I grabbed the pole rather than the shovel I was thinking about.